What can you say about an item like the portaloo stress reliever? I guess you can say it offers the ultimate in relief. Oh dear, this item description is going to be terrible. Look, the portable toilet is instantly recognisable. It's practically an icon, and yet, few people ever expect to see a toy version of one sitting on top of a co-worker's desk or on the bookshelf in the hallway. 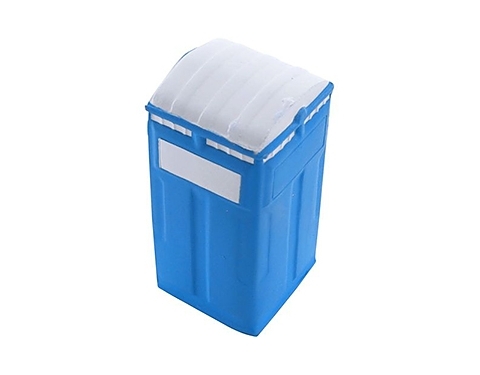 By promoting your business with these portaloo stress toys you'll have the elements of surprise, curiosity, and confusion working for you - all powerful elements indeed.